A genuine warrior-poet, combat veteran Jim O'Ferrell left military service after returning from the Iraq War in 2008. He teamed up with friend and fellow guitarist Jason Crawford to form the core of an original rock band, 'The J.O.B.' They are joined by Justin Poroszok on bass and Antonio James Jr on the drummer's throne. The band has an alternative modern rock sound with a passionate Americana pulse to which everyone can connect and enjoy. In 2012, The J.O.B. released their 3rd album, an EP titled 'Letters'. Two singles from that project, 'Messenger' and 'Feel' found a large audience with secondary commercial radio and college radio stations. Introduced into radio rotation six months apart, each song climbed aggressively onto the adult contemporary Top 40 Chart in the United States appearing on radio station playlists across America (FMQB 2012 AC Top 200). The J.O.B. 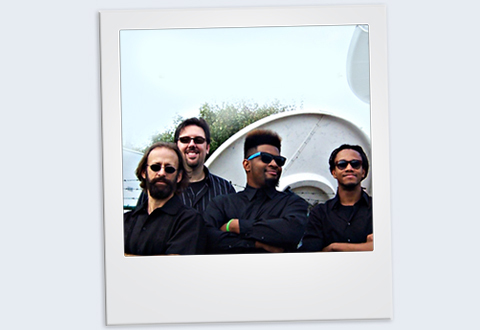 (aka The Jim O'Ferrell Band) has also had two previous songs appear on national music charts. 'El Dorado' from the band's first album and '1925' from the second album both appeared on the Up & Coming Top 40 Charts in New Music Weekly. The J.O.B. 's music enjoys airtime on commercial, independent, and internet radio stations worldwide. They are currently booking venues, tours, festivals, and other opportunities to perform. in the passion and dedication that's infused into every note of their songs." "American Rock's most fist-clinching, teeth grinding, death-defying, and truth-be-told band..."